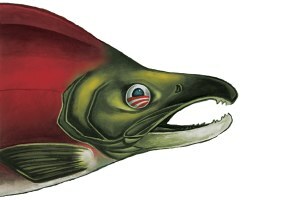 Obama’s new political order, backed by the legal acumen of Judge James Redden, may help the Northwest’s salmon survive and end the era of the Lower Snake River dams. Nevada sportsmen, tribes and environmentalists ask the Federal Energy Regulatory Commission not to renew licenses for Hells Canyon’s dams until Idaho Power makes it possible for salmon to survive its dams. Judge Jim Redden has given the Bush administration an ultimatum: Submit a viable plan for salmon restoration, or face the possible removal of four dams on the lower Snake River. Mike Lawrence, manager of the cleanup effort on Hanford Nuclear Reservation, resigns, saying the project is financially out of control. Area farmers are unhappy that the Wahluke Slope, a buffer zone for the Hanford Nuclear Reservation, may now be protected as a wildlife refuge. The national forests on the Idaho Panhandle want to double the timber cut this summer to stop a bark-beetle explosion. Heavy rains, roads and clearcuts cause more than 100 slides and washouts in Idaho's Clearwater National Forest. A short list of books for further reading about Hanford's history and its toxic legacy. Four pieces of Hanford real estate are the focus of prospective landlords who want control. During its 40 years of weapons-building, Hanford knowingly exposed workers and area residents to dangerous levels of radiation, and the health impacts continue to be felt today. Conservationists, politicians, Indians and farmers fight over the polluted but beautiful land of Washington's Hanford Nuclear Reservation. "Railroads and Clearcuts: Legacy of Congress's 1864 Northern Pacific Land Grant" by Derrick Johnson, George Draffan and John Osborn is reviewed. Paul Hirt's book "A Conspiracy of Optimism: Management of the National Forests Since World War II" is reviewed. Water is main issue in fight over Hooper, Washington, megadump. Environmentalists receive heavy sentences in Idaho courts. The Spokesman-Review publishes a series about Forest Service mismanagement in five national forests in the Northwest. Earth First! and other environmental groups claim victory after preventing logging and slowing Forest Service road building efforts in the Cove-Mallard timber sale area. The incarcerated author Rik Scarce says the First Amendment protects scholarly research, including his on the radical environmental movement.